This Beautiful Handmade Classic Western Table Set will bring the country out of you.... Made from Knotty Pine or Red Oak and stained with a rich English Chestnut Stain bringing this table set to life. Add the "tooled leather" look in the leg carvings you end up bleeding Western all over the place... Just select the pieces you want to complete your set. Coffee Tables are 18 inches high. Select options for length and width. End Tables are 22 inches high. Select options for length and width. 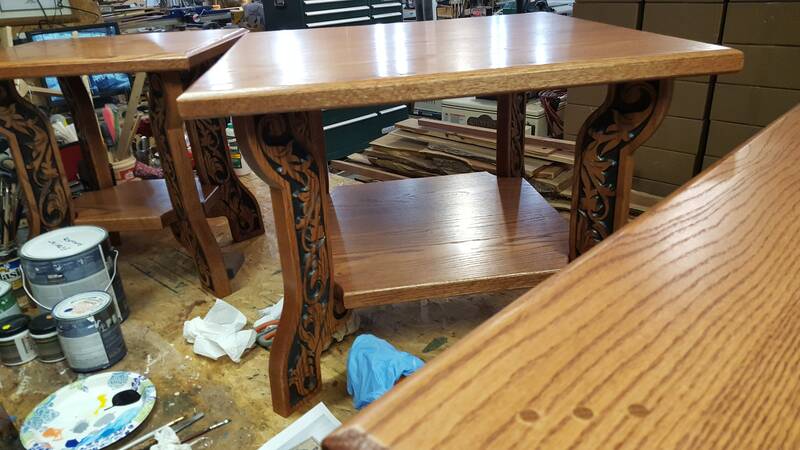 English Chestnut Sealing Stain plus Urethane Finish on Pine or Oak. 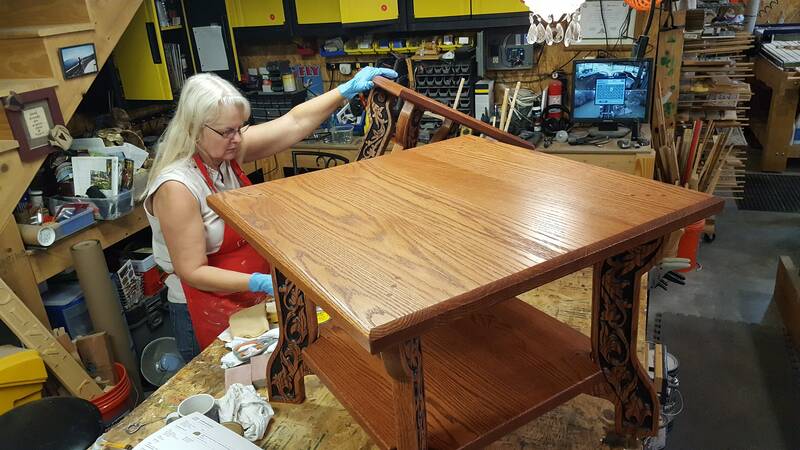 We can finish in different stain colors so please ask if you would like a different stain. Upon order Jo's Wood Gallery will email you a simulated design for approval. Upon approval of custom design, we will build product within 10-14 business days. There really are not enough superlatives to describe my experience ordering from the Wood Gallery. 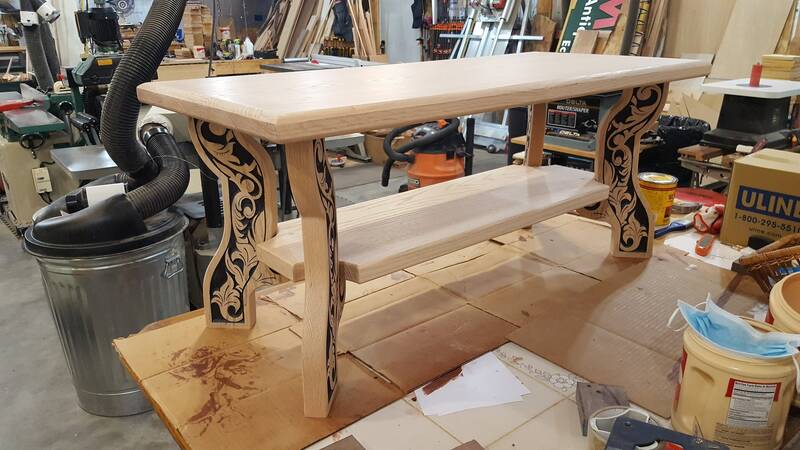 Charlie made this a delightful experience from beginning to end and was extremely accomodating, being willing to make the tables in Oak for us and to make us this custom size table. He was also a great communicator (and fun with a great sense of humor). He is a dedicated craftsmen who takes great pride in his work and it shows every step of the way. Including how beautifully packed they were for shipping as they had to make the trip from Texas to NY. 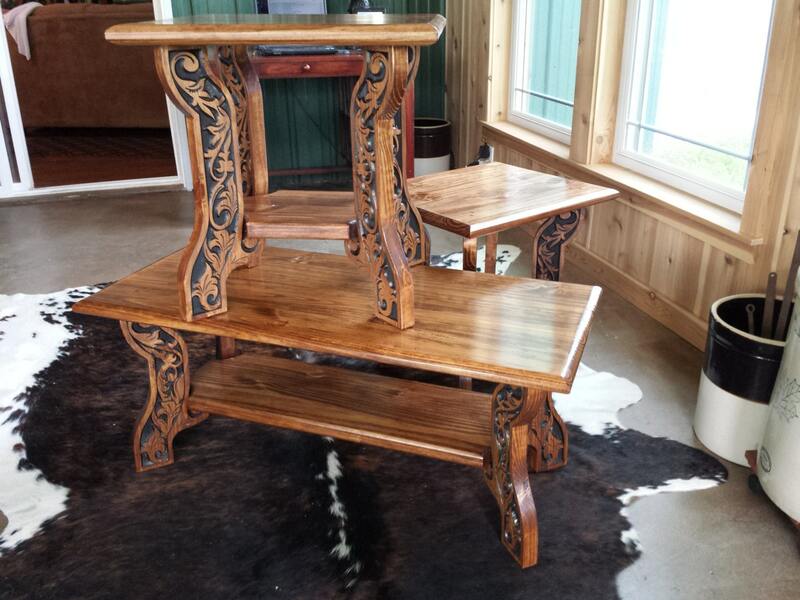 We were looking for something unique for our great room and these tables are just stunning. 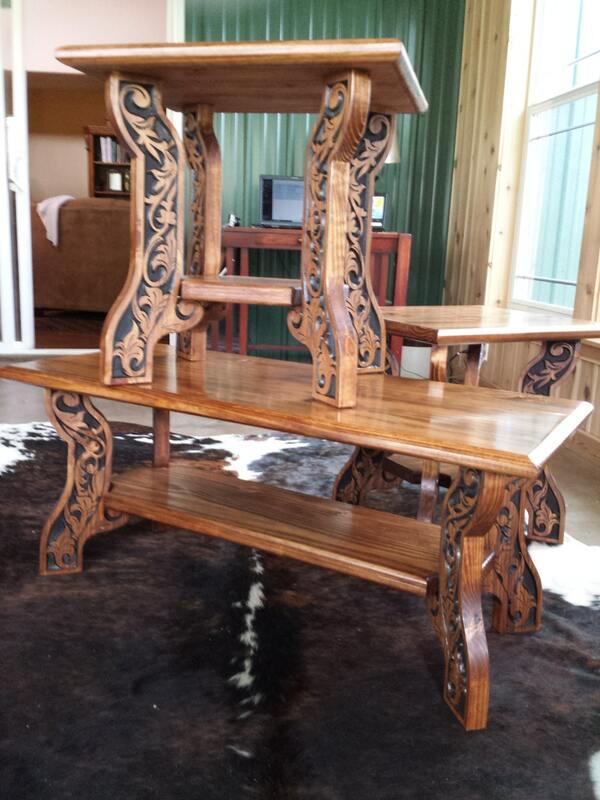 The workmanship and quality are second to none and I am proud to have them in my home. Don't hesitate to order, you will NOT be disappointed. I truly can not recommend them enough! There really are not enough superlatives to describe my experience ordering from the Wood Gallery. 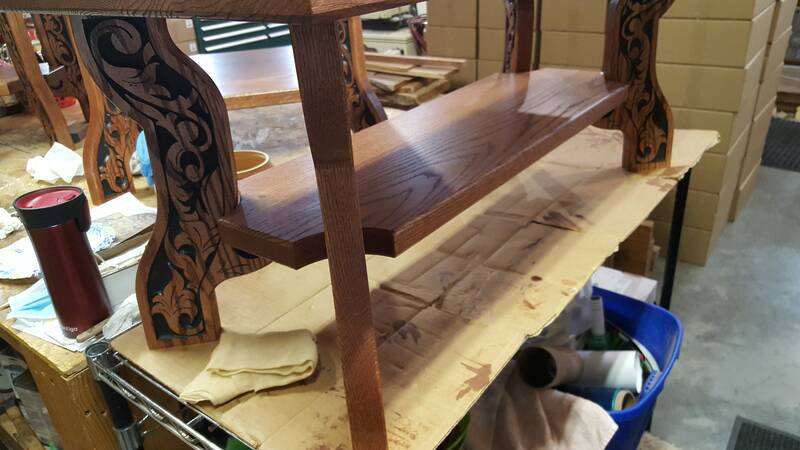 Charlie made this a delightful experience from beginning to end and was extremely accomodating, being willing to make the tables in Oak for us and to make us a custom size table. He was also a great communicator (and fun with a great sense of humor). He is a dedicated craftsmen who takes great pride in his work and it shows every step of the way. Including how beautifully packed they were for shipping as they had to make the trip from Texas to NY. We were looking for something unique for our great room and these tables are just stunning. The workmanship and quality are second to none and I am proud to have them in my home. Don't hesitate to order, you will NOT be disappointed. I truly can not recommend them enough! There really are not enough superlatives to describe my experience ordering from the Wood Gallery. Charlie made this a delightful experience from beginning to end and was extremely accomodating, being willing to make the tables in Oak for us and to make us a custom size table. He was also a great communicator (and fun with a great sense of humor). He is a dedicated craftsmen who takes great pride in his work and it shows every step of the way. Including how beautifully packed they were for shipping as they had to make the trip from Texas to NY. We were looking for something unique for our great room and this tables are just stunning. 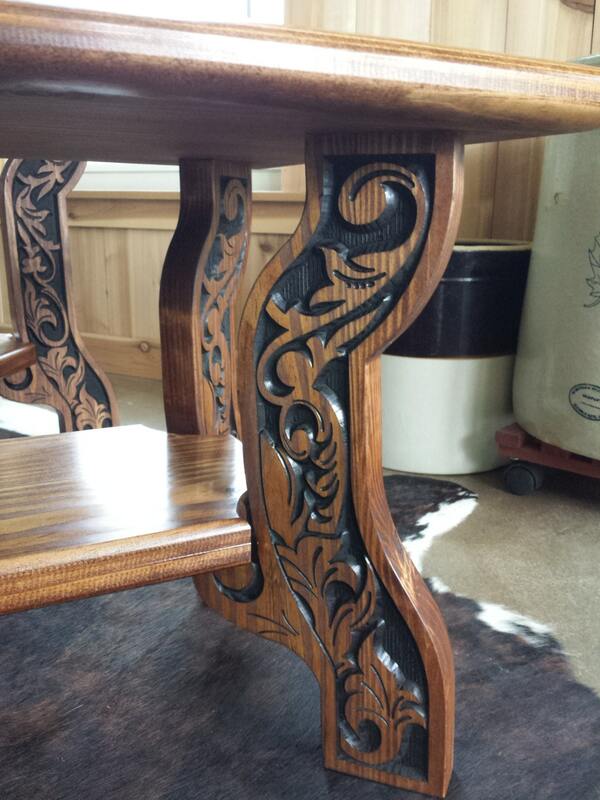 The workmanship and quality are second to none and I am proud to have them in my home. Don't hesitate to order, you will NOT be disappointed. I truly can not recommend them enough!